If someone asked you to name the two coolest things you could ever see in nature, your answer would be “volcanoes and lightning.” Or possibly “lightning and volcanoes,” I guess, but those are the only two options—it’s just a fact. 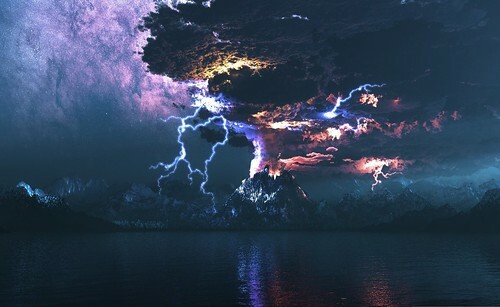 But nature, it seems, is constantly looking for new ways to impress us—which is why it went ahead and made volcanic lightning a reality.And yes, it’s exactly what it sounds like—a lightning storm that takes place in the middle of a volcanic eruption. Scientists aren’t 100% sure why this happens, but the primary theory goes that when a volcano erupts, it projects positively-charged debris into the atmosphere. These charges then react with negative charges already present, which results in 1) a bolt of lightning, and 2) a really cool picture.